Like most companies that have invested heavily in the growth of our companies on the back of the feed in tariff, I was left reeling at the cut announced last Monday. Having now had time to reflect I dont think that the cut is all bad and I would like to explain why. Investors were making fortunes from free solar schemes. They need to be stopped before the energy bills of everyone get out of control to pay them the feed in tariff. It didnt matter whether your roof was East, West, or even behind a tree, an installation could still earn you in excess of 10% ROI. The aim of solar panels should primarily be to generate electricity and reduce the bills of the householder and the carbon footprint of the nation. Therefore they should be only reccommended to people with appropriate roof tops. At 21p, you will see a decent return – provided your rooftop is appropriate. This will ensure surveys are carried out by competent engineers and not by commission based salesman looking to make a quick buck. Solar Panels have come down in price, but not enough – suppliers are still charging excessive prices to installers for the hardware and competition has forced installers to accept minimal margins, which cannot be squeezed any further. 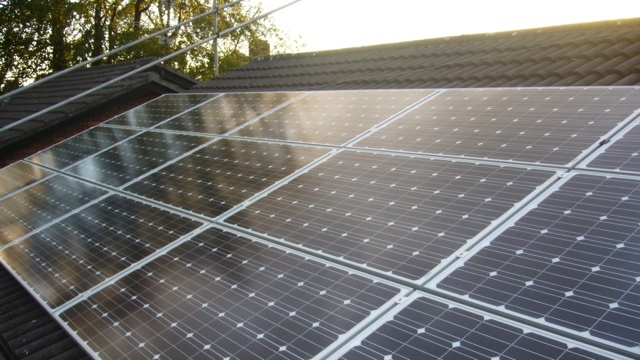 Suppliers will have to reduce their prices if they are expecting to sell any panels. This is good for the industry. The current prices put solar panels out of the reach of too many people. On the back of this price reduction (which has been proven in foreign markets on the back of Feed in tariff reductions) then customers with appropriate rooftops can expect to earn 10% returns and generate attractive reductions in their rising electricity bills. But… The deadline set by the government is a problem and has caused a gold rush from people who have accelerated their plans to install solar. Cancelled orders will cause job losses in the industry, more warning from the governement would have allowed people to adjust the business plans to cope. Asking people to achieve an EPC rating of a C to recieve the Feed in Tariff is non-sensical. The EPC refers to heat efficiency, and the generation and use of solar electricity by the property is not a factor. This should be removed so that properties which do not have cavity walls and cannot achieve a C can still benefit from energy efficiency measures – otherwise we might as well knock down every house of a certain age and re-build. – Remove the need to achieve an EPC rating of C.
– Put pressure on suppliers to reduce their prices.